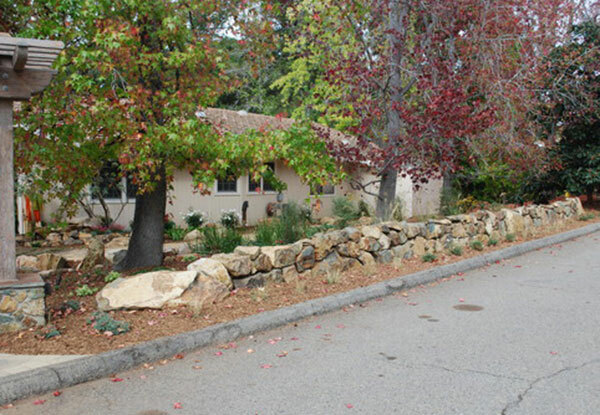 We completed a boulder wall construction in Vista, CA with plants surrounding the various stones for a more natural look. 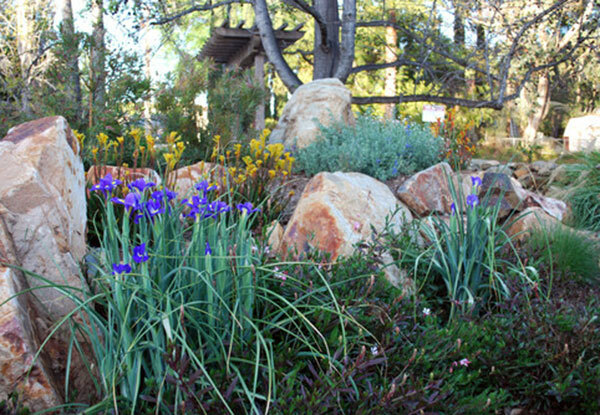 We used color plants around these boulders to create a vibrant look for this Vista, CA landscape. The combination of natural stones and plants adds varying degrees of elevation to create a more appealing look. 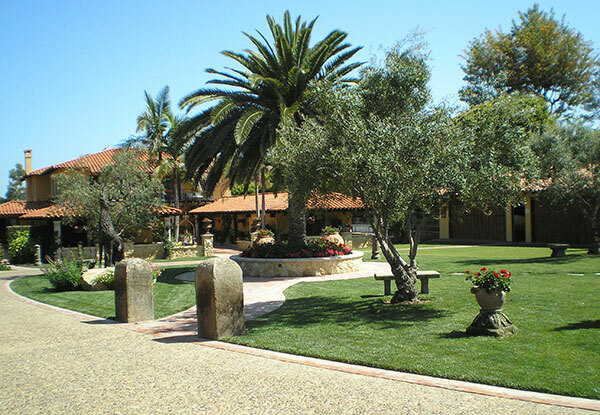 During this custom landscaping project in Bonsall, CA we installed an elegantly curved driveway lined with boulders and plant life including this giant palm tree in the center of the yard. 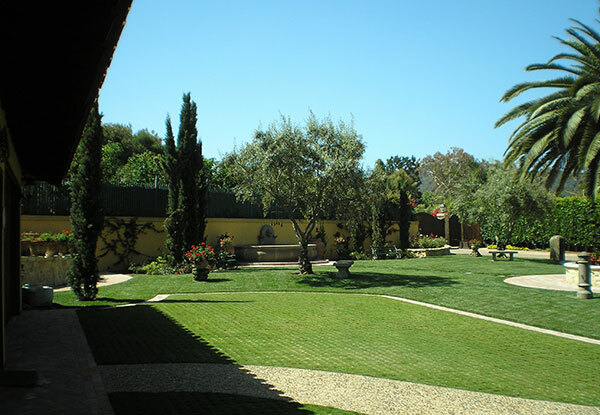 This custom landscape design in Escondido, CA was developed to provide a unique lawn space that is still open enough for outdoor activities. Our team combined a great selection of colorful flowers, plants, trees and water features to accent the surroundings. We hand picked this large Chinese Elm tree at a nursery in Point Loma, CA with our client. 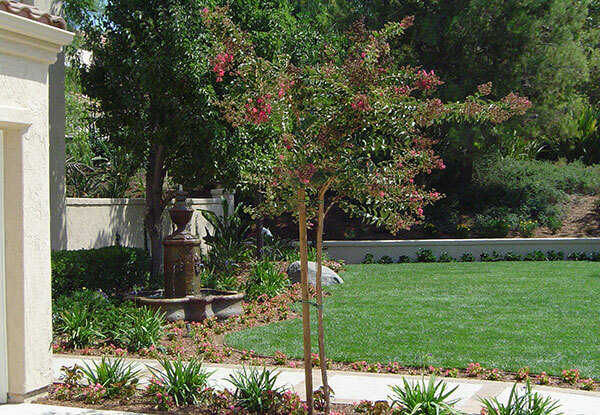 Our client wanted a tree that would provide maximum amount of shade to their outdoor space. 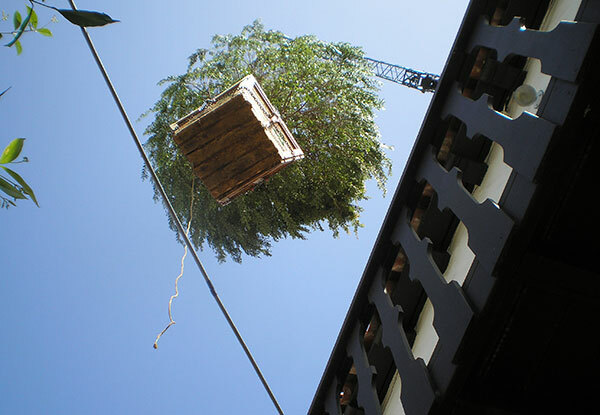 We carefully craned this massive tree over the home and into their backyard. 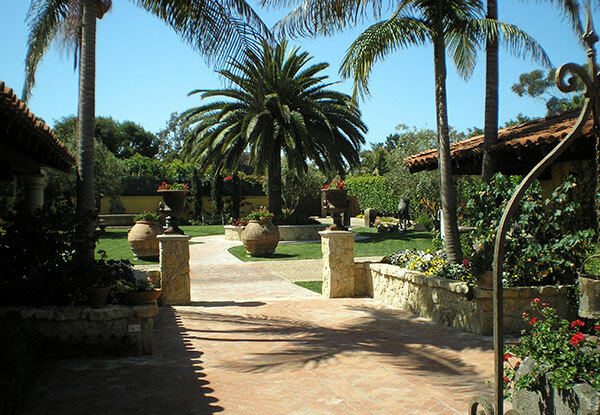 We constructed this residential courtyard in La Jolla, CA with brick flooring and limestone retaining walls to provide an elegant combination of colors to accent the surrounding plant life. 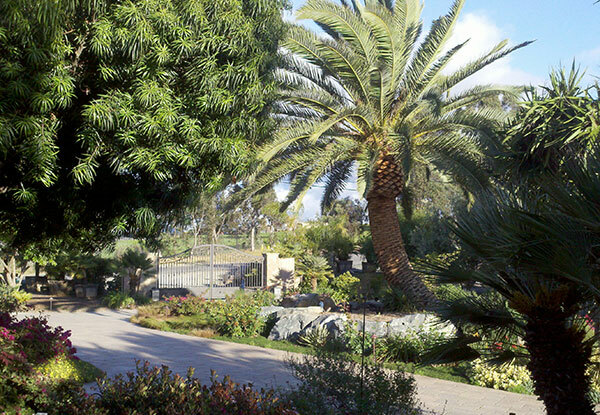 This scenery is part of a La Jolla, CA home’s center courtyard that was landscaped with various shade-providing trees and seating areas. We also installed limestone pathways through a lush green lawn. 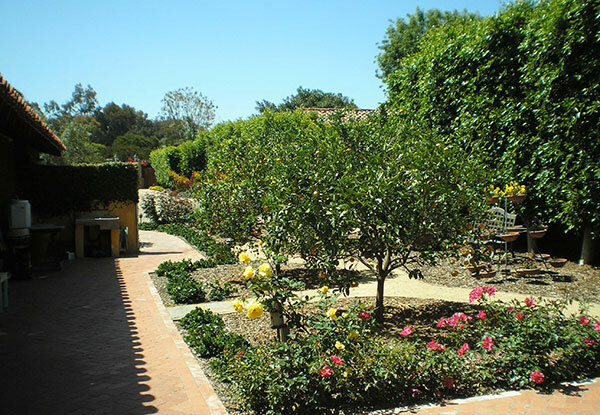 Daniels Landscape installed these citrus fruit trees in La Jolla, CA. The cantera moldings and fills were chosen to match wood windows in the home. 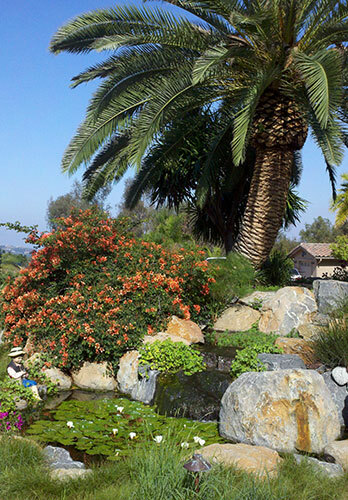 This custom landscaping design in Bonsall, CA features a koi pond and waterfall installation surrounding this massive palm tree which was craned in and planted as the centerpiece for this beautiful yard.